You think you know Boyfriend? Are you Boyfriend’s BFF? Do you call yourself a certified Bestfriend? Answer these questions below correctly and get a chance to win 1 Boyfriend DVD! - You have to be the member of this forum to join the contest. Forum Staffs & O526 Subbing Team members are NOT eligible for this contest. - You can copy paste the questions, and answer them via email ONLY to info@imyourbestfriend.com. You can send just the answers without the questions. It is okay. PLEASE mention your Forum USERNAME in your email. - You have to answer ALL 50 questions. But you have to get at least 42 correct answers to qualify for the prize (up to 8 wrong answers are fine). - You can submit your answer TWICE (2x). So you have 1 chance to correct your answers. Put in your email that this is your 2nd try, so we can cancel your first answers. Again, mention your username otherwise we don’t know who you are. - DEADLINE is June 30, 2014. Enough time to study more about Boyfriend, right? - If you have any question, you can ask via info@imyourbestfriend.com, ask here in this topic, or click to PM me: Velisha. 1. Name all Boyfriend members (full name)! 2. Before Boyfriend debuted, there were 2 other boys that were rumored to be in Boyfriend. Mention just one of their names. 3. Hyunseong & Donghyun are from the same part/area of Seoul. Where is that? 5. Before debuted with Boyfriend, Donghyun was casted in a TV reality show. What is the name of the show? 6. Donghyun went to MyeongJi University majoring in Musical Science, the same university as this female idol. They are good friends. Who is she and from what girl group? 7. Who wakes up the last among BF members? 8. Boyfriend went to this country for their 1st overseas activity. What country is that? 9. Mention just two of Minwoo’s weaknesses. 10. What is the room arrangement in Boyfriend’s present dorm? 11. Who cried first at the end of Love Communication 2013 Concert in Japan? 12. There is one trait that Donghyun’s ideal girlfriend should have. What is that trait about? 13. When did Boyfriend debut in Japan (official debut date), and what song is their debut song there? 14. During Gurupop show, the MCs gave nicknames for Youngmin & Kwangmin. What are the nicknames? 15. For their debut TV Show M!Pick, what drama that Boyfriend re-enact as a parody? You just have to mention one correct title. 16. In BOYFRIEND Self Camera Season 1, please list the missions for all members. Including Donghyun’s mission! 17. In Hyunseong’s mission, he needs to borrow something from a fellow idol. Who is the idol? 18. Among Boyfriend members, who went to all-boys high school? 19. In KBS Hello Baby, Boyfriend are divided into 2 groups. Who are in those 2 groups and which baby they take care of? 20. So far, Boyfriend have 3 collaboration of Christmas songs with fellow Starship artists SISTAR & K.Will. What are the titles? 21. Boyfriend starred in a Japanese movie in 2013. What movie is that? 22. A Boyfriend member also composed a musical piece for the movie. Who is that member? 23. Boyfriend released two songs as the movie soundtracks. What are the song titles? 24. During Mnet Boyfriend W Academy, Boyfriend unofficially filmed a music video for one of their songs. What song is that? 25. Boyfriend works with this duo producers a lot. They produced songs like Don’t Touch My Girl, Love Style and Iyah. What is the name of this duo producer? 26. Boyfriend is under the management of Starship Entertainment. What is the name of the company who manages Boyfriend’s activities in Japan? 27. What is the concept/main theme of Boyfriend’s Japanese album, Seventh Mission? 28. Based on Summer Vacation Event Chapter 1-3 Q&A in 2013, what are Boyfriend’s favorite food? 29. 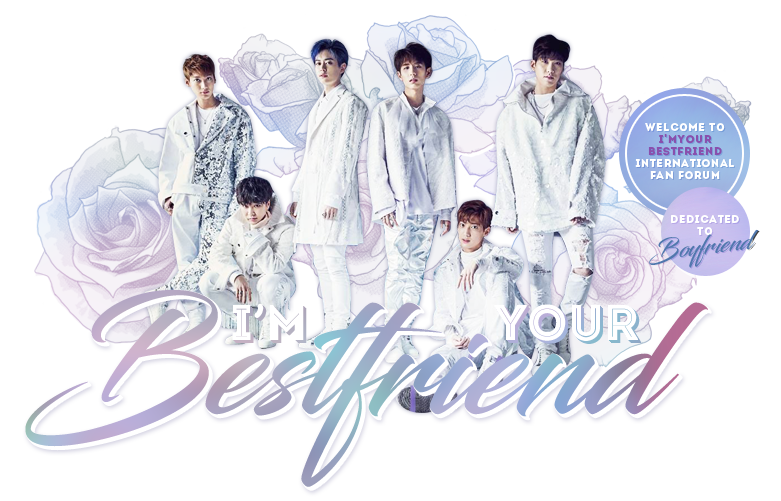 When did Bestfriend become the official name of Boyfriend’s fans? 30. Who is the best cook among Boyfriend members? 31. Boyfriend’s Japanese single Hitomi no Melody was used as a soundtrack of a famous anime. What anime is that? 32. Which Boyfriend music video was filmed in Odaiba, Japan, and won the Best Aegyo from Eat Your Kimchi Award 2013? 33. Our Maknae line just graduated this year. What high school they graduated from? 34. For what award year that Boyfriend won both Golden Disk Award and Seoul Music Award? 35. If Kwangmin is often called as 4D (Fourth Dimensional), what is Youngmin (wants to be) famous for? 36. Hyuseong contributed his solo song, Only You, for a Korean drama soundtrack. Which drama is that? 37. On Boyfriend 1000th Day (February 18, 2014) Leader Donghyun prepared something special for Bestfriends. What was his gift for us? 38. Mention the solo songs from Donghyun, Jeongmin and Hyunseong. Just one for each. 39. On 2014, Boyfriend went outside Asia for their overseas showcase. What are the 3 cities they visited? 40. Just shortly after they debuted in 2011, Kwangmin was injured. What happened to him? 41. During they debut days in Mnet M!Pick, Boyfriend was given missions by SISTAR. One of the missions is making UCC (User Created Content) video for fans to vote. There are 3 UCCs (available on starshiptv youtube channel). What did they do in the 3 UCCs? 42. Before they debuted as Boyfriend, some Boyfriend members took part as back up dancers for which artist? 43. Boyfriend only have one official twitter account. What is that? 44. Kwangmin & Youngmin have a younger brother by 2 years. What is his name? 45. What award did Donghyun received from 2014 Asia Model Festival Award? 46. Boyfriend acted/played/dressed as girls before. Which member acted/dressed as a girl THE MOST compared to the others? 47. Youngmin & Minwoo often argue with each other, that makes them earn this nickname. What is the nickname? 48. When he was younger, Donghyun’s dream was to be a pianist. What are Youngmin’s & Kwangmin’s dreams when they were younger? 49. This Japanese song tells a story about a guy wanting to go far away with the girl he likes. He got the train tickets for both of them, but the girl didn’t show up. Which song is this? 50. What is the title of Boyfriend Japanese single which is going to be released on May 28, 2014? so that it can clear out doubts for those unsure question after winner has chosen. is it too hard? did you have fun studying about Boyfriend? nice subject eh? about 10 question i must searching..
goodluck to those who participated and will be participating. FIGHTING~!! Good luck to everyone who is participating in the Contest!! but I'll send my entry later.. I'm not quite understand with question number 10 and 46. Would you please explain it clearer? for #10, they're asking who among the members share the same room in their dorm right now. at first, all 6 of them sleep in the same room, but when they moved dorms, it became 3 members in one room. so the question is for you to determine those who are sharing rooms. (i'm sorry, it's hard to explain but i hope you understand. for #46 there are times when Boyfriend members are asked to dress like a girl during their shows. so the question is who among the members took the challenge the most. like, who among them experienced wearing girl's clothes the most. I am so sorry I didn't see it until today, but I will check the event posts more. If example I only answered 45 questions, will you accept it ?? If you don't know the answer you can leave it blank. But try to answer anyway? You have to have 42 CORRECT answers to be eligible for the prize drawing. Answers sent It's been 3 weeks since I finished answering but I forgot to send /curse my brain silently/ .-. "I love you to infinite and you're mine only"
Hi! ^^ uhmm... I have a question regarding number 7. "Who wakes up the last among BF members?" are we going to base this from Hello Baby?